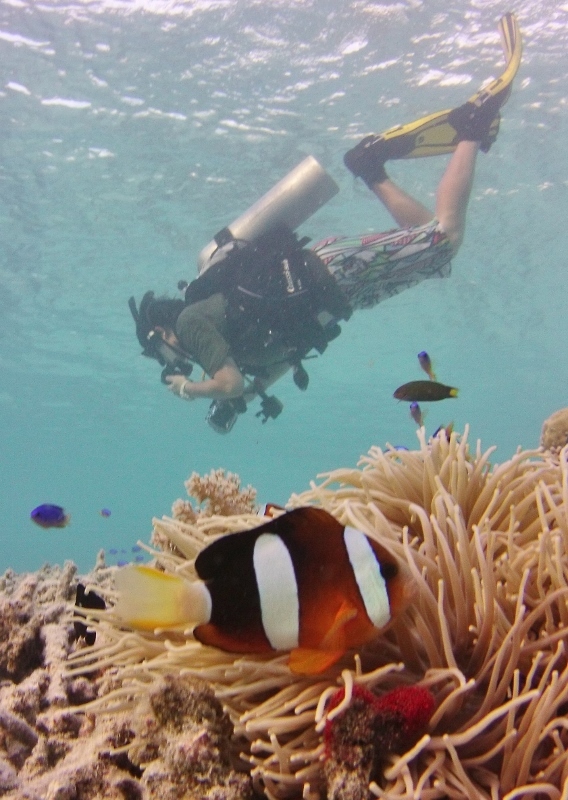 Ten facts you need to overcome to plan a career as a marine biologist. Start with more info - if you are still at school or pre U or working on a career change then a marine science course will help test your desires before you spend 3-4 years at Uni or college. Becoming a marine biologist is fantastic in many ways but it is a hard choice. Jobs are few. From 10 people with PhD degrees only 1 will be working in their chosen field by the time they are 40 years old. Many more will work in the dive tourism industry. Most marine biologists are part-time, they have careers in other fields. Sometimes teaching, sometimes aquaculture, sometimes fisheries, sometimes in aquariums. Not many get to be "Marine Biologists". The smartest people can work in Universities doing experiments, a few lucky people (like me) make marine biology part of another career (tourism management) and get to spend some days each month in the field. To succeed you need brains, hardwork, determination and luck (IMHO). 1 Not all your work will be glamourous, autopsy on turtles killed by plastic (conservation), measuring and gutting fish (fisheries) or working with sick, dying fish (aquaculture) will test your gag reflex and resolve. 2 It is not well paid and the career prospects are low. Jobs are hard to find - start as an intern. Biotechnology is a much better career choice or Fisheries or Aquaculture. 3 Lots of time is spent in the office writing reports, blogs or social media and lots more time is spent in meetings. 4 Studying, saving or simply managing any part of the planet is frustratingly slow, from species which need protection today to ecosystems that are changing slowly because of global climate change. 5 The weather is not always kind, a beach survey in January at low tide (= dawn) anywhere in the world is hard but cold places have more jobs than warm places so chances are it will be snowing. 7 Do you hate bugs? 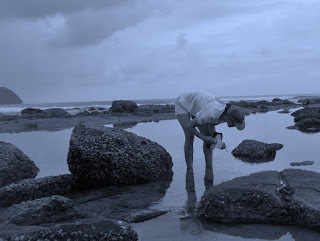 From jellyfish and stonefish to mosquitos and ants there is always something trying to bite, sting or eat you. 8 Life on a tropical beach for months at a time when diving every day is hard on your body. You need a strong immune system and a willingness to eat all the fruit and vegetables possible. Finding enough protein as a vegetarian is extra hard so carnivores suffer less from infuriating illnesses. 9 Do you love study and reading. The ocean is the underexplored 70% of the planet and we learn new things all the time. Study and reading are part of the process. 10 Does a foreign culture excite you. There are more jobs scattered around the world but to survive the culture shock you need to be able to accept hardship because chances are; that where-ever you get to work doesn't have familiar fast food or supermarkets. If this has not put you off - the benefits to being a marine biologist are many. Read what Natalie says about her Internship. 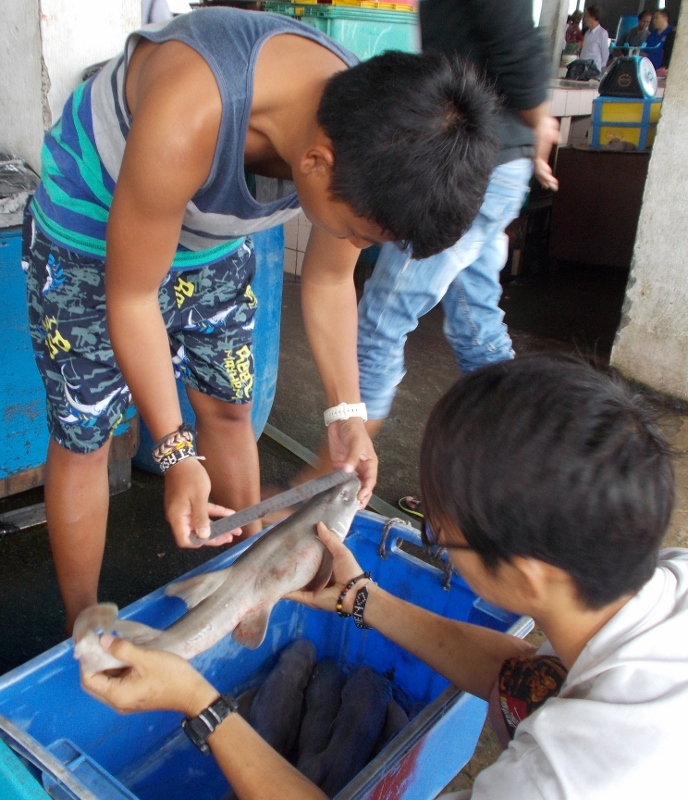 Read the 10 best reasons for studying marine science here. 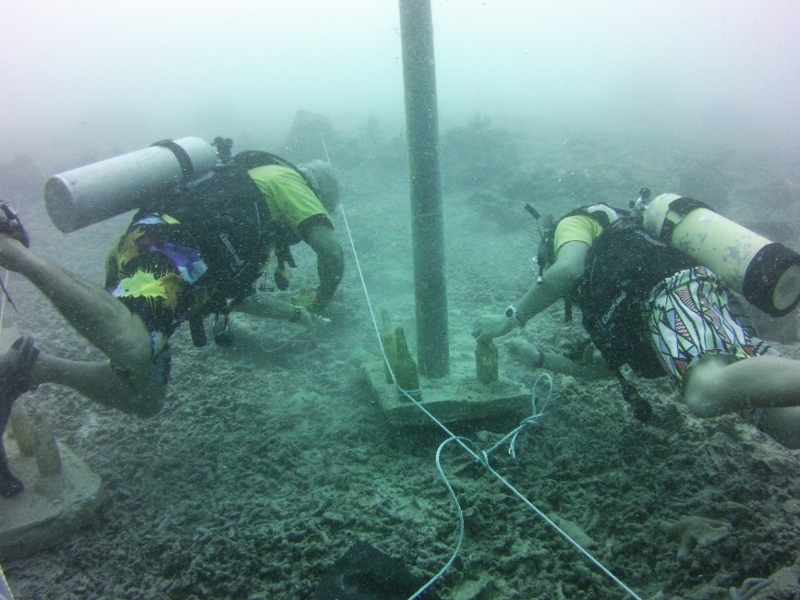 or the 10 best ways to become a marine biologist here. or How to get a job in Marine Conservation. 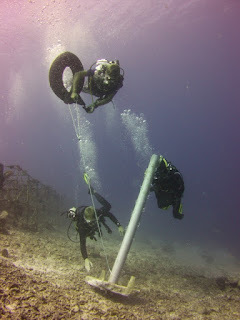 Lifting heavy objects - There are days when diving is just another job.